Exposure therapy is a part of cognitive behaviour therapy and is a very effective component in the treatment of social anxiety disorder (SAD). Exposure therapy concerns confronting one’s fearful triggers in order to master the anxiety associated with those situations. It is challenging work, but has high payoffs. Many individuals who have SAD often say that they are exposing themselves, and often on a daily basis to social situations, but do not feel better for it. Many individuals with SAD who do confront anxiety provoking social situations on a daily basis, are not actually doing exposure. This is for many reasons. Some of these reasons include: 1) There are subtle safety behaviours that the individual performs in order to manage situations; 2) There is avoidance of certain aspects of the social situation (such as withdrawal or limited time spent in the situation), 3) Selective situations are chosen to engage with and other situations that trigger more anxiety are avoided; 4) The social encounters are often short. When doing CBT and starting with the exposure therapy part of the program, the therapist will help the individual to engage in effective exposures, that leave a lasting difference in the person’s life. 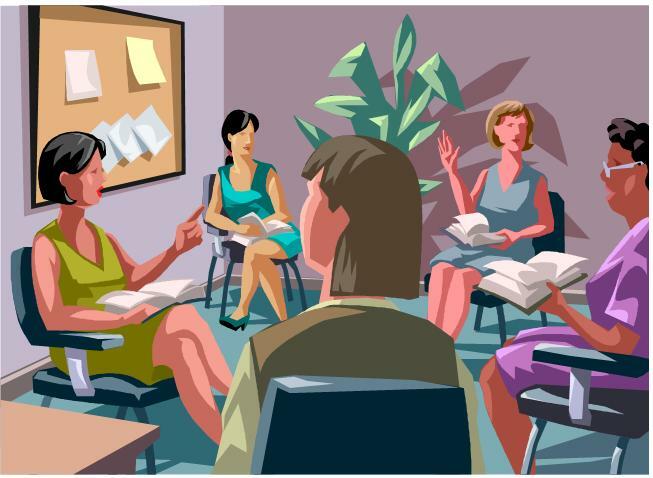 Group based cognitive behavior therapy (CBT) is one of the most successful form of treatment for Social Anxiety Disorder (SAD). Groups are one of the most feared of situations for someone with SAD. However these programs are run in a way that considers the high levels of initial anxiety. They provide a safe environment to begin to explore and master anxiety. They often slowly introduce the individuals involved in the group to exercises and therapeutic encounters that help them to better manage their anxiety and improve confidence and self efficacy in social situations. This is a really great video of Social Anxiety Disorder (SAD): How people suffer with it, what causes and the treatments that work. Visit the South African Social Anxiety Disorder website for more info on SAD. Research on the causes and development of social anxiety disorder is providing scientists, clinicians and mental health care policy makers with new insights about prevention and treatment of social anxiety disorder (SAD). The University of Stellenbosch is currently conducting research on how genetics, childhood developmental factors and brain functioning contributes to the development of SAD. The purpose of this study is to investigate how early life trauma during childhood development may contribute to and affect individuals, who develop SAD later in life, or a condition known as Post Traumatic Stress Disorder PTSD. It will examine individuals with SAD who have had early trauma in their lives, individuals who have SAD without early trauma in their lives, and individuals that have had early trauma in their lives and developed PTSD, as well as healthy volunteers who neither have had early trauma, SAD nor PTSD. We aim to include 60-80 participants in total. The study will explore the differences of these individual’s in order to find out how early trauma during childhood affects the later development of SAD or PTSD, and if early childhood trauma makes SAD look different in some individuals. You will also have a type of brain scan, called a fMRI (functional magnetic resonance imaging) scan. This is a machine used to look at brain activity by creating magnetic fields. By magnetically scanning the head from all sides a picture of your brain activity can be formed. This picture will then be used to find out how the brain functions in SAD and PTSD, and what contributions early life trauma can have on brain functioning. The scan will require you to lie on your back on a table that will move into the scanning machine for the time it will take for the scan. During this time you will be able to close your eyes and rest. If you decide to participate, we shall ask you to attend a series of three study assessment sessions. You will be compensated for your travel expenses. The first assessment session will comprise an interview with a researcher. In this interview you will be asked a series of questions about yourself, if you have had any previous medical or mental health problems, and to see if you will be able to be scanned in the fMRI machine. You will then be interviewed to find out what psychological difficulties or problems you might have, using questionnaires. You will also be given seven questionnaires that you are asked to complete yourself. You will have the assistance of a researcher available to help you, should you feel stuck answering the questions. Depending on the category you will be placed in (SAD or PTSD), the first questionnaire you are asked to fill out is either a self report questionnaire about how much social anxiety you have, or a clinician administered questionnaire about how traumatized you are. After this, the second and third questionnaire will ask you about your past and any trauma that you may have suffered as a child and/or when growing up, the fourth questionnaire will ask you about your personality, the fifth questionnaire will address your quality of life, the sixth will ask about your social phobia in relation to ethnicity, and the seventh and final questionnaire will ask you about how resilient you are in stressful situations. The second assessment session will include a series of neuropsychological assessments. The neuropsychological assessments are a series of tests and questionnaires that will examine your memory, verbal skill, visual spatial ability, planning and reasoning ability, and lastly your level of concentration and attention. 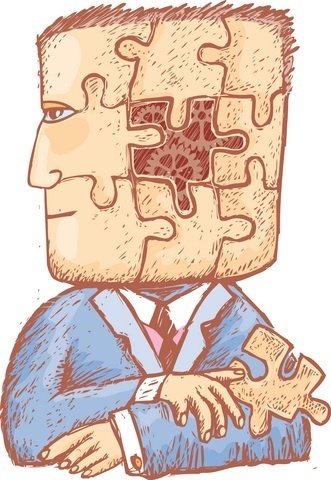 You will be doing this part of the assessment with a researcher who will be guiding you through the neuropsychological assessments and help you, should you have any difficulty. The third and last assessment session will involve fMRI scanning. Before you are placed within the fMRI machine you will be asked to complete a questionnaire, which will assess your current level of anxiety. You will then enter the fMRI machine. In the machine you will be asked to lie very still. Whilst you are in the scanner you will be asked to complete two tasks. In the first task you will be shown a series of pictures of people’s faces, showing different emotions. You will then be asked to identify the emotion in each face, while the machine scans you. In the second task you will be asked to press a button at a “go” sign and to not press the button when a “no go” sign is shown. Neuro-developmental theories suggest that Social Anxiety Disorder (SAD) commonly known as social phobia is actually different from other kinds of phobias, such as phobias of objects (eg. lifts), places (eg. lifts), events (eg. thunder storms) and/or animals (eg. spiders). The reason for this is that SAD appears to often be more generalised and the fears are often of a different nature to other phobias. Social Anxiety Disorder can be seen as being partly genetic and partly environmentally based, where an individual inherits a predisposition for anxiety and then through various developmental learning experiences, develops SAD. These social developmental learning experiences are currently believed to be very broad and may range from a variety of early childhood traumatic events, to learning aversive behaviours from parents to other types of aversive social learning. The combination of genetics and developmental learning experiences appears to have an impact on the emotional centres of the brain. A specific part of the emotional brain (often called the limbic brain or limbic system), called the amygdala appears to be most affected. One important function of the amygdala is fear learning. 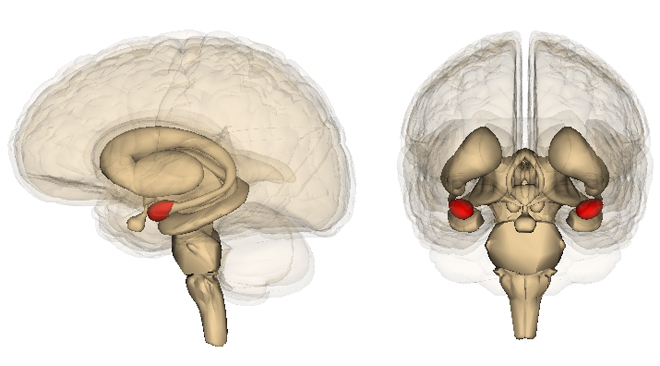 It is believed that the amygdala may play a very central role in SAD. 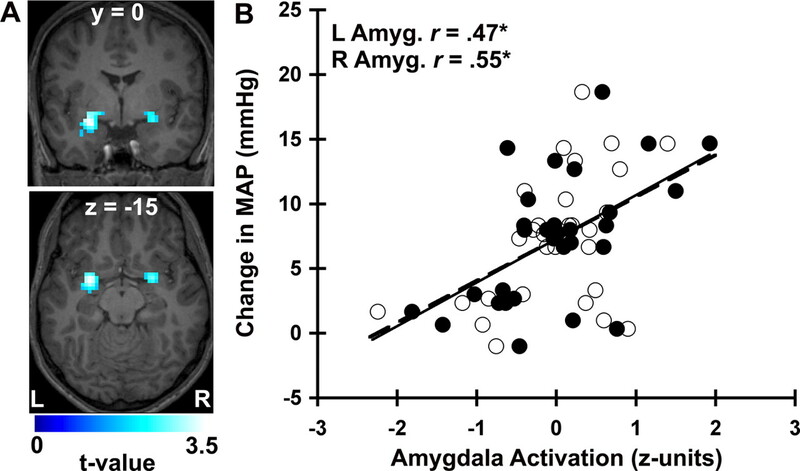 The amygdala may be over-active or may have developed to respond to social situations as though they are potentially dangerous and threatening. Research is currently being done internationally to find out more about the relationships between the brain and specifically the amygdala and social anxiety disorder (SAD). What is the difference between shyness and social anxiety disorder? Many people are shy…to various degree’s. Meeting someone for the first time, going on a date, being introduced to a group of new people etc, are all situations where a person may feel shy. 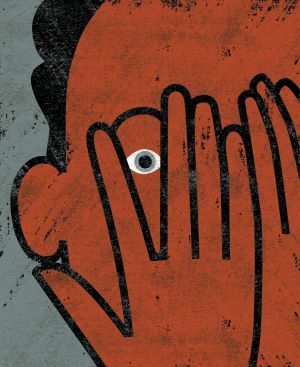 Shyness may be defined loosely as discomfort and/or inhibition in social situations, however the level of discomfort is more or less relative to what may be generally be ‘expected in that situation’. If everyone who was shy also had social anxiety disorder (SAD) then there would certainly be many people with SAD. What distinguishes SAD from shyness is that the emotional intensity and discomfort felt by an individual with SAD is much more severe than with shyness. There is also a greater degree of avoidance of social situations and triggers. Individuals with SAD are generally more preoccupied by their social fears and their fears often cause them some difficulty or ‘impairment’ in their ability to socialize, make friends and maintain relationships. The social anxiety may also impair other areas of life such as work, at home with immediate family or even hobbies and recreational activities. Individuals who have SAD are also more likely to feel down and defeated by social situations. They frequently have more negative thoughts about social situations and are often quite self-critical about their performance in social situations.